I have been hoping for ages that a cache would be placed at this lovely little church. As none has been forthcoming, after tea with my Great Aunt today, I could wait no longer and placed one. 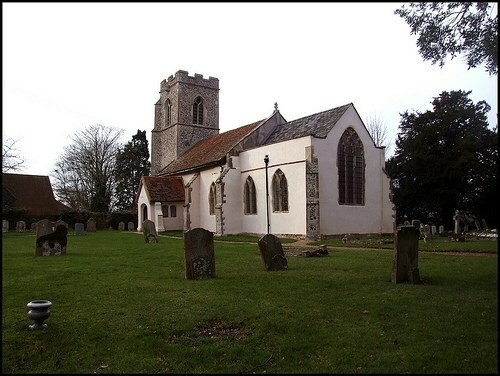 St Mary's is a small, simple church, very well maintained in a delightful setting at the end of the village. My grandparents were married here and my great grandparents are buried here. Several members of the older generation of my family still live in the village.